Growing up, my dad would spin Bruce Springsteen and Billy Joel albums on car rides and pre-Internet quiet time at home, and that’s where the foundation of my music experience began. Now, as many of my peers start popping out their own offspring, I’ve started to wonder what tunes Millennial parents are going to play for their kids. 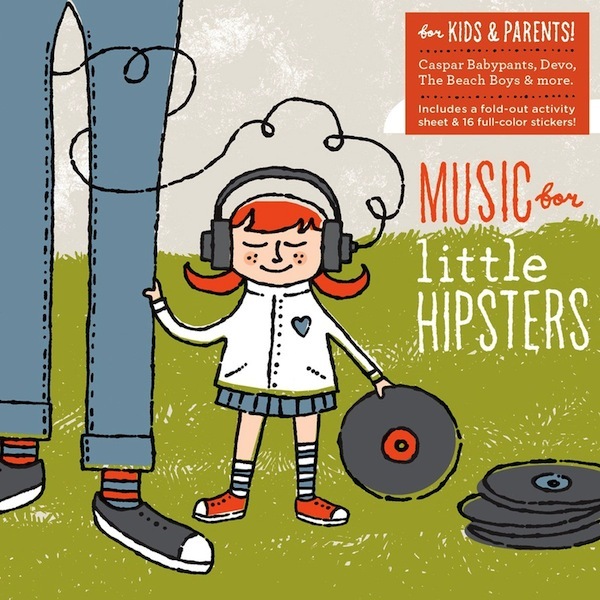 Thankfully, Starbucks has provided the answer with their new compilation CD, Music for Little Hipsters. No, seriously. Available in-stores (and presumably online in the near future), the 14-track comp aims for “the sweet spot where cool kids and music-loving grownups crisscross and get crazy,” according to the package’s back-copy. Comprised of “songs that parents may recognize and children will love,” the tracklist includes numbers by Devo, The Beach Boys, Devendra Barnhart, and Lisa Loeb & Elizabeth Mitchell. There are also bands like I’m From Barcelona, Great Lake Swimmers, and French singer Franck Monnet. It’s an eclectic mix of artists, to be sure. But how can you go wrong with a CD that has Booker T. and The MG’s “Soul Limbo” followed by a track by a guy with the name Caspar Babypants? See the full tracklist below, then watch how Starbucks is teaching your children “irony” by watching the clip for Devo’s included song, “Beautiful World”.